A beautiful game that’s a little difficult to categorize. Each level is the dream of a flower in which you use gyroscope controls to direct the wind and gather petals, bloom flowers, and breathe life and color into various objects or structures, sometimes opening new pathways to follow. There’s no dialog and the abstract story is told atmospherically as you progress through the dreams. A single playthrough of all the levels may take about an hour, but they are intended to be replayed. 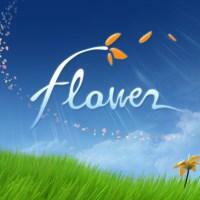 The game is beautiful and soothing, with a perfectly-matched dynamic soundtrack which makes good use of piano. The unusual controls take a bit of getting used to but there is no failure mode and virtually no punishment so players can experiment pressure-free and learn to ride the winds. Exploration is rewarded with a few secrets and surprises and each level has three hidden flowers to find. The trophies are also unusual, including some for pausing to enjoy the scenery or take a break. Flower is designed not to challenge or to be ‘fun’ in the traditional sense, but to provide an uplifting emotional experience. I found it quite successful in this regard. I Stopped Playing When: After playing through several times, I was trying to get all of the trophies. There’s unfortunately one very out-of-place trophy that requires you get through the entirety of a particular level without colliding with any of the environmental hazards (this being the only level that has any). This is difficult to do and highly punishing since the very end of the level features a sequence with hard-to-avoid hazards, and if you touch even one you have to start the level over from the beginning. Worse, the trophy appears to be bugged (at least on PS3 where the game first released) as there are multiple reports of people clearing the level with no collisions and still not getting the trophy. This would make for an obnoxious trophy in any game, but in Flower it runs directly counter to the core design philosophy. After trying several times and finally getting through the level unscathed but not receiving the trophy, I found my enjoyment of the game had waned considerably and I was basically done with it.